Kokopelli’s auditioned children’s ensemble, Kikimasu (pronounced “kee-kee-mahs”), will celebrate its tenth season in 2018-2019. 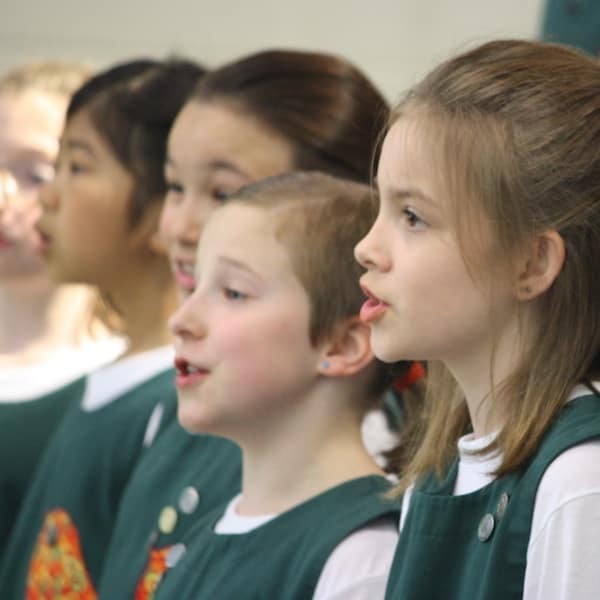 With a focus on Kodaly and Dalcroze music education methodology, the choir fosters beautiful singing and strong musicianship skills in its young members. Kikimasu was featured, alongside Shumayela, at the 2016 Podium conference—Canada’s biennial choral conference—here in Edmonton. The group also placed first in the children’s choir category in the National Music Festival in 2015.